Are you a ‘post-it note poet’ scribbling ideas for songs wherever you go? Do you have ideas but don’t know where to go next? Perhaps you have written some songs and shelved them for another time. Well that time has come! The Globe Songwriting Group is for people who want to explore their musicality, deepen their musical understanding and develop their skills. The weekly sessions are designed to be suitable and accessible for all regardless of experience. This is not a jazz course. All songs are welcome and diversity is encouraged. The group meets on Tuesday evenings at the Globe from 7pm to 9pm. 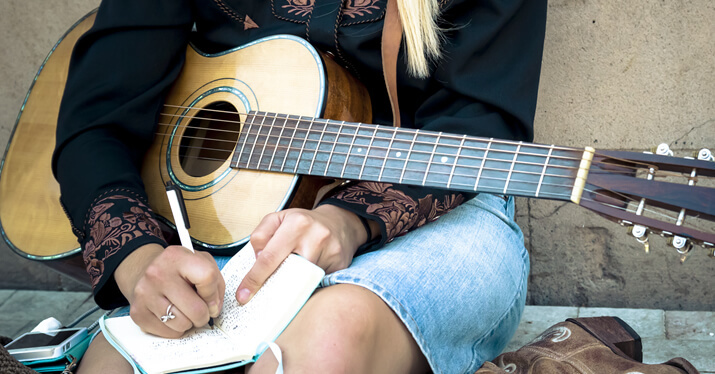 Week-by-week themes focus on a range of topics to develop your skills: creative and expressive writing, prose, melody, harmony, chords, rhythm, structure, arrangement and adapting materials for musical instruments, and performance. The professional tutoring is backed up with online support and resources. There will be guest musicians at some sessions. £10 per session, payable in cash to the tutor.